Events for the beatification of Archbishop Oscar Romero began Friday evening with a procession of light. Unfortunately, that turned into a procession of umbrellas as it’s the height of the rainy season in El Salvador. But the rain didn’t dampen the spirits of those in attendance. “Oscar Romero stood for the poor, for justice and for peace,” said Cardinal Oscar Rodriguez Maradiaga, who celebrated Mass that evening. Cardinal Rodriguez has just stepped down as president of Caritas Internationalis. 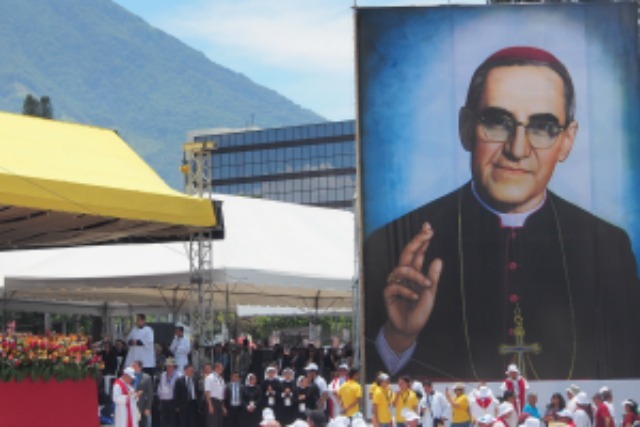 In a special Caritas Internationalis message, Cardinal Rodriguez said that Oscar Romero was chosen as patron of Caritas Internationalis alongside St Martin Porres and Mother Teresa of Calcutta. On Saturday, the umbrellas were turned into parasols as people streamed in from all parts of the city, the country, the region and the world. They’d come to celebrate the life, work and legacy of Romero. “We are living a moment of the triumph of truth over falsehood and of love over hatred,” said Rosa Maria Leal, a Guatemalan religious, who knew Romero and attended his funeral. Among the 2,600 young volunteers helping at the event was Yomara Moreno, 20. “I was very moved that we’re all here together in a spirit of joy. Romero is a great figure that challenges us as Christians and as young people to do something every day to make a difference. He did that without fearing threats or criticisms,” said Yomara. The beatification Mass was celebrated by Cardinal Angelo Amato, Prefect of the Congregation for the Causes of Saints. The cardinals, bishops, dignitaries, some 1,200 priests and seminarians and representatives of parishes and different social groups were all present circling out from around the altar. The crowd was grouped around the square and followed the Mass on giant screens. The images filmed from the helicopter that flew over several times enabled me to appreciate the number of people present and the density of the crowd. 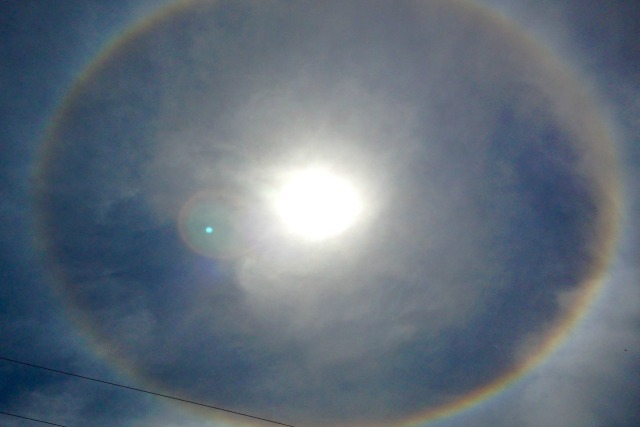 At the height of the act of beatification, while Cardinal Amato named Romero “blessed”, a solar halo formed in the sky. It looked like the halo of a saint and many thought it a miracle. Cardinal Amato said, “While those who did the persecution have disappeared into the shadows of oblivion and death, the memory of Romero is still alive and continues to console all the poor and marginalised. His option for the poor is not ideological but rather evangelical. His charity extended to the persecutors,” he said. While Salvador is experiencing a deep social crisis and that the homicide rate is among the highest in the world, the message of Blessed Archbishop Romero is more relevant than ever. Many hope that his beatification is a unifying factor.